The Munz Family has only been farming in Lafayette since last winter, but their already making good marks at two of our producer-only farmers market. They farm on the property owned by Duane and Shirley Johnson, who own Johnson Sharpening (long-time knife sharpening vendors at the Boulder and Longmont locations). Owner of Sunseed, Carrie Munz, spent a decade farming in Washington state before making the trek to Colorado so she is no stranger to farm life. You can find her for their first at the Longmont Farmers Market every Saturday and every Thursday for their second season at the Lafayette Farmers Market. She uses her ecological knowledge as a former wildlife and fisheries biologist to care for the land and the water. 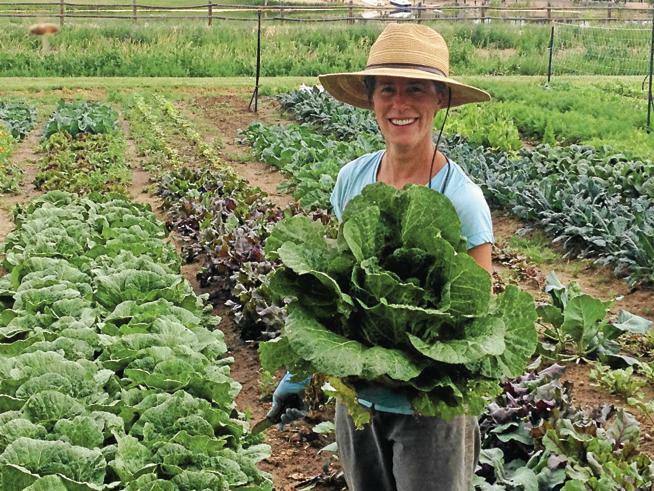 Her farming experience instilled a love of the land and a passion for contributing to her community. Munz believes that eating locally and in season is a necessity not a choice and that it is her responsibility to help provide food for her local community. Spring: radishes, turnips, mizuna, lettuce, pea shoots and spinach. Summer: basil, zucchini, green beans and eggplant. Fall: winter squash, pumpkins and onions. Most season long – beets, cabbage, asian greens, carrots and kohlrabi.